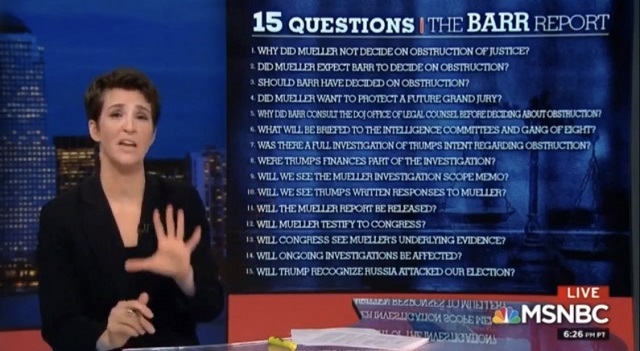 Maddow: "I know, I know, I know, I'm just getting crazy." 6. 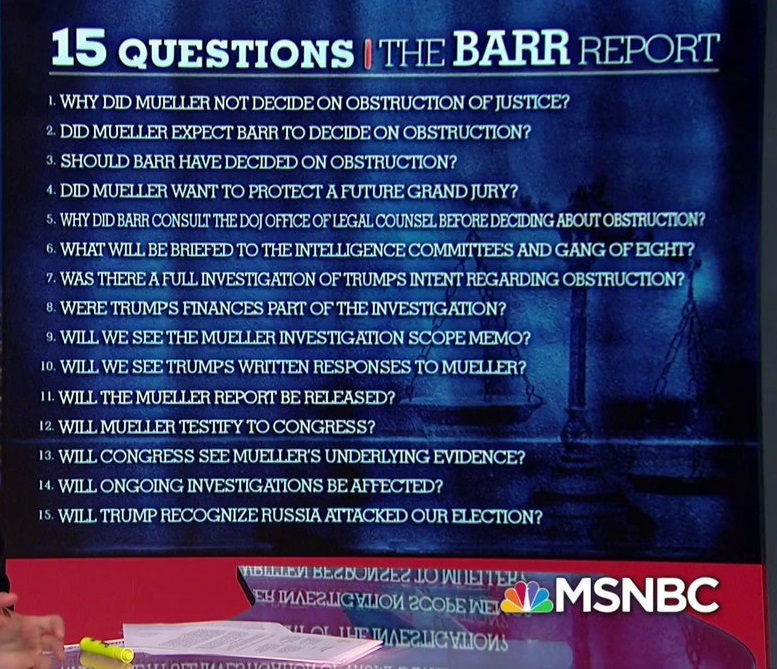 Is Trump or Barr going to move against the deep state conspirators who manufactured this witch hunt or are they just going to let them get away with using our intelligence agencies to sabotage Trump's presidency and crush our peaceful pleb revolt?